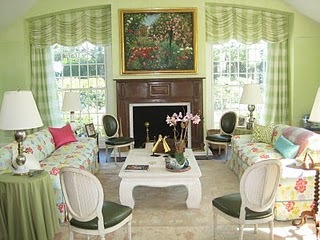 I must say, I love HGTV's July Color of the month. It is so refreshing, and I love the color for decorating! 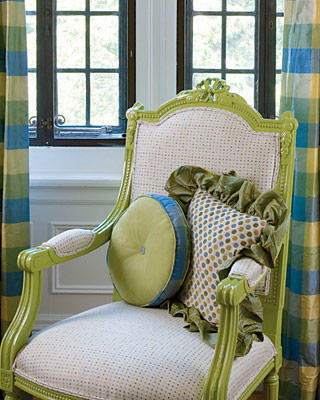 So...here are a few window treatment ideas using this color or a variance of it either at the window itself, or in the room. Wow! Magnificent! 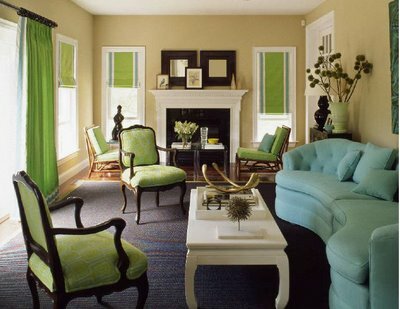 I was stunned by the creativeness of the one who design this lime interior motif. I agree, it is very refreshing! French doors are distinguishable because both sides open as opposed to only one. 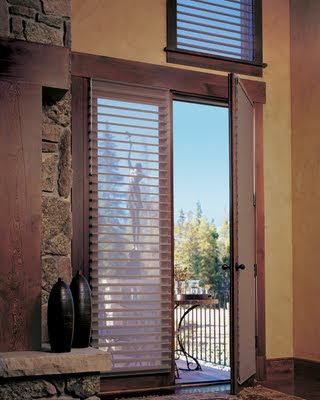 While virtually any Hunter Douglas window fashion can be outfitted for French doors, keep in mind that they are typically mounted "outside" of the opening (beyond the glass frame), which may require the use of extension brackets or spacer blocks for proper handle clearance. Regardless of which product you choose, you'll enjoy a beautiful look and greater lighting control and energy efficiency. Cut-outs provide on opportunity to cover windows with unique architectural elements and are suggested for clearance around obstructions such as door handles, window cranks and levers on operable windows. 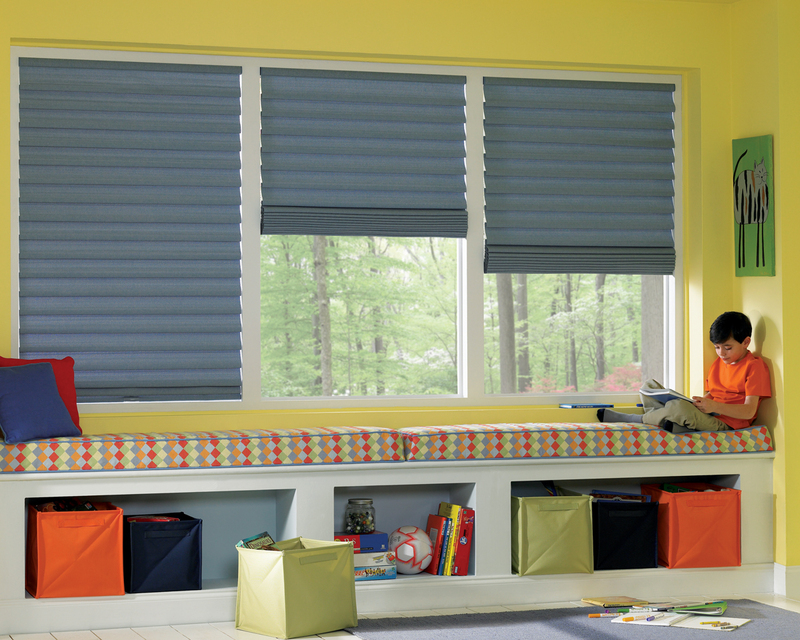 Creating a truly customized look, many Hunter Douglas window fashions are available in a variety of cut-out shapes, including bottom side, center and even headrail cut-outs. Every house has at least one of these design obstacles...specialty shaped windows and how to cover them. I love the look and architectural detail that uniquely shaped windows add to a home, but they can be a challenge to cover. Hunter Douglas probably has the best selection of specialty shaped options, and they are constantly striving to improve them and add more options all the time. 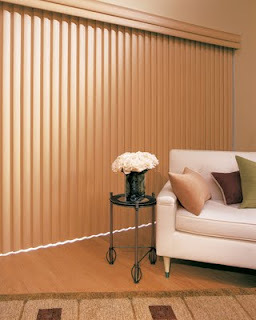 I was at a customers home the other day that had some angle top windows and he said he had been checking around for quite some time, and Hunter Douglas was the only manufacturer that had a product that would work on his windows. 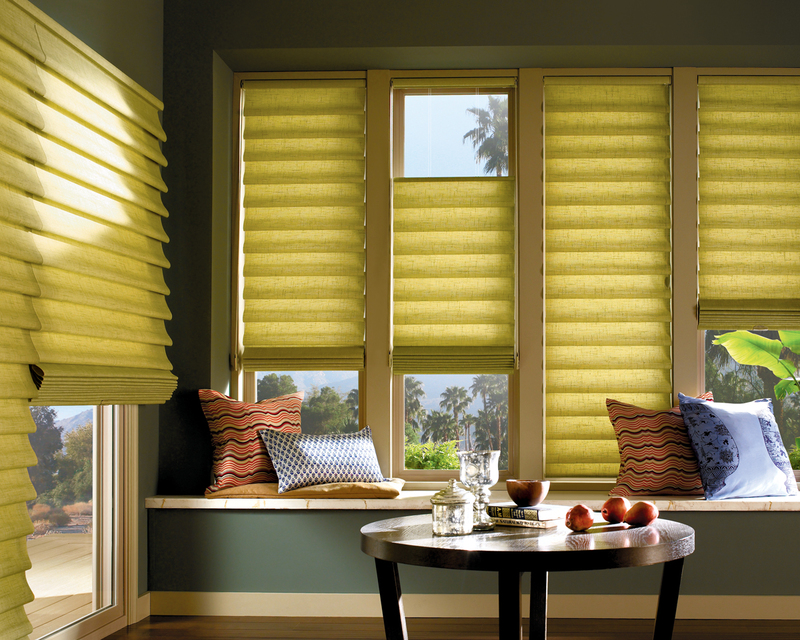 There is a reason why Hunter Douglas has quite a name for themselves. 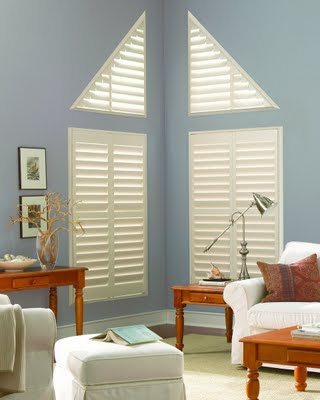 Here are some examples of specialty shaped windows that Hunter Douglas manufactures a product for. I will break it down into 2 posts. If you have any of these issues in your home that you want to find a solution for, give us a call and we would be happy to go over your options with you.